It’s great when you hear good things about a product, and then get the opportunity to try it out for yourself, and then share that with you guys too. This time, I’ve been giving the Bissell Vac and Steam a go. It’s one of those products I’d heard very good things about, but you never know until you try it out for yourself do you? The main feature here is that the Vac and Steam does exactly that, in one machine. 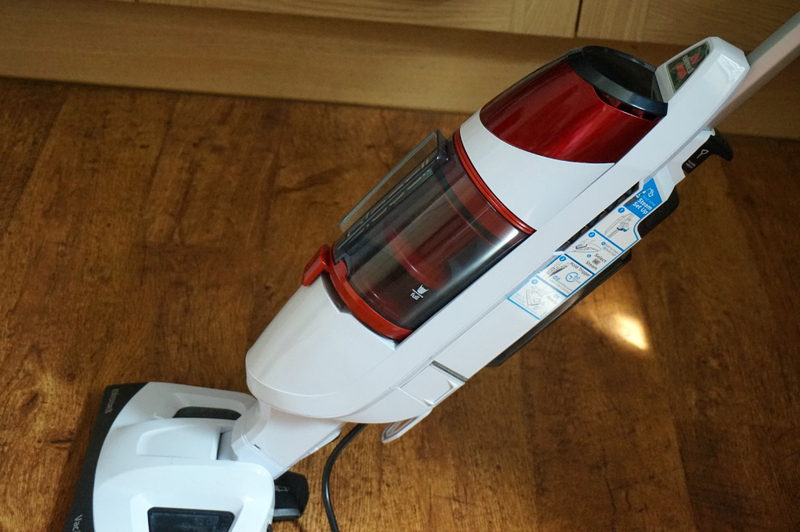 It can vacuum, and then steam the hard floors just from one machine. So how did it shape up? Well we only have wooden floors here so we put the machine through its paces and it performed pretty well. It is lightweight, good to look at and easy to store with a slimline shape. Would I use it to vacuum? 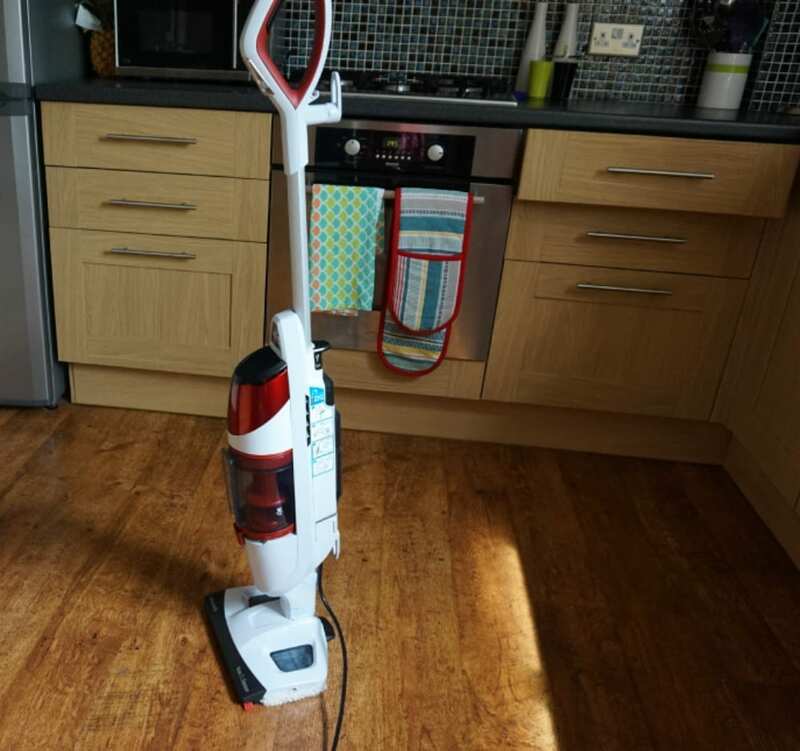 Well I’m not sure, we have a very good vacuum which I love so will probably stick to this, but if you have pets or young children crawling around the floors, using something like the Bissell Vac and Steam gives you great peace of mind that your floors are wonderfully clean. And of course, it doesn’t make the floor wet. Great for wooden floors I’d say, and if you don’t have the time to wait for floors to dry. It’s very easy to use, and really does do what it says. Well worth giving a go I’d say, particularly if clean, germ free floors are important to you. 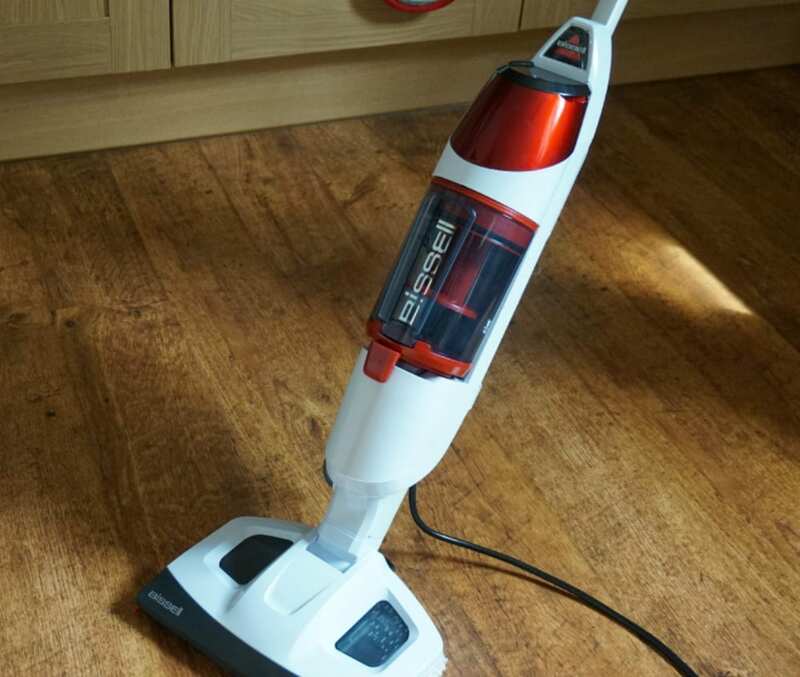 The Bissell Vac and Steam retails for £99.97 from the Bissell website if you’re interested in finding out more. Previous Post Dream Big and Treat your Home to a Californian Makeover! I won one of these on Monday from Bissell on Twitter and it arrived today, I’m looking forward to putting it through its paces! I do agree with most of the reviews, that I have seen But can you tell me why its so dificult to open the cap where the water is ment to go in to the machine I know I am getting Old and my fingers are not as nimble as they use to be, but having to use a knife to prise it open is not verry helpfull, all so can some thing be dunn to make it more stable in the upright possition the times I have to leave it to move some thing only find arfter putting the handel in the up right possition it falls flat banging tha handel quite hard on the floor,and the other thing I find anhoying is the cattche the holds the dust cillender in place graduley moves then the dust container falls off the resulting that spilling the contents back on to the clean floor at the moment I have an elasticband around the catch and the grip of the dust container, other than these small niguls its the finest Machine I have used and quite a number of the more exspencife type.